Hydrospeeding or white-water swimming puts you in the middle of the river with its waves and rollers and all its competing currents. To practice this sport in good conditions, we equip ourselves with thick, reinforced neoprene suits plus gloves and socks for optimal comfort. On top of that, we have flippers, a lifejacket, a helmet and, of course, our polystyrene float. In a team of up to six swimmers, you will go on an adventure on the River Isère, on a course adapted to your level of competence and the conditions of the water. You will be accompanied throughout the trip by a qualified guide who will show you navigation techniques, tell you about trajectories and surfing and how to remain safe on the river. 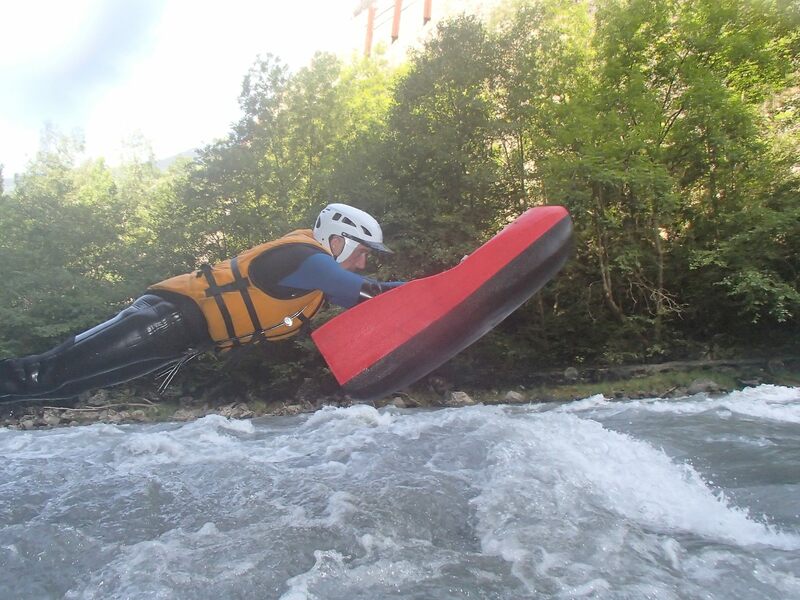 On the Bourg-Saint-Maurice to Gothard course, you have 9 kilometres of classified river II (III) to learn the basics of moving through white water, tickling the first waves with your flippers, making your first stops ... trying some surfing!! Discover the Eskimo roll and a lot of other little tricks to practice in good conditions until you can do them by yourself. This is the Gorge of Centron course. We start straight after Aime rapids and set off along 8 kilometres of varied river. 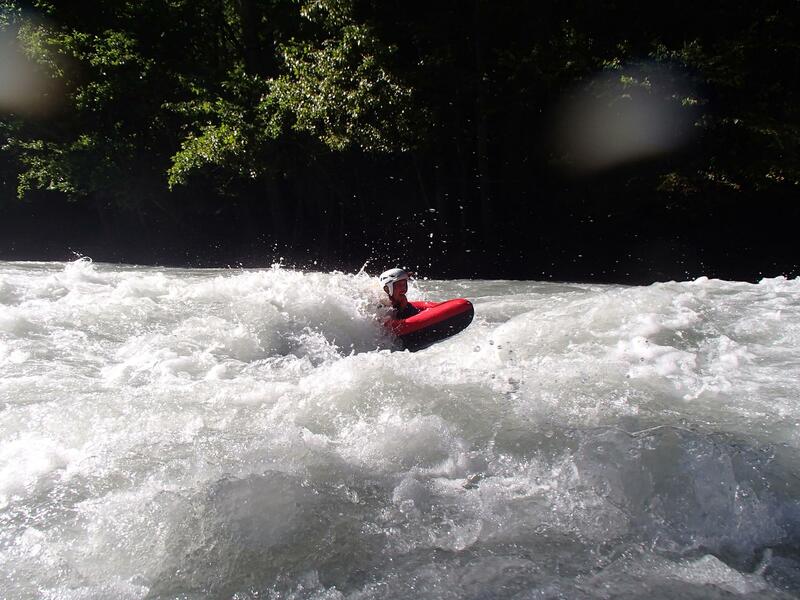 Ideal as a starting point, this descent gradually increases in power, with an easy part to learn and get used to the different manoeuvres followed by the first rapids and the first big waves! This is a sporting course that requires a modicum of physical fitness. 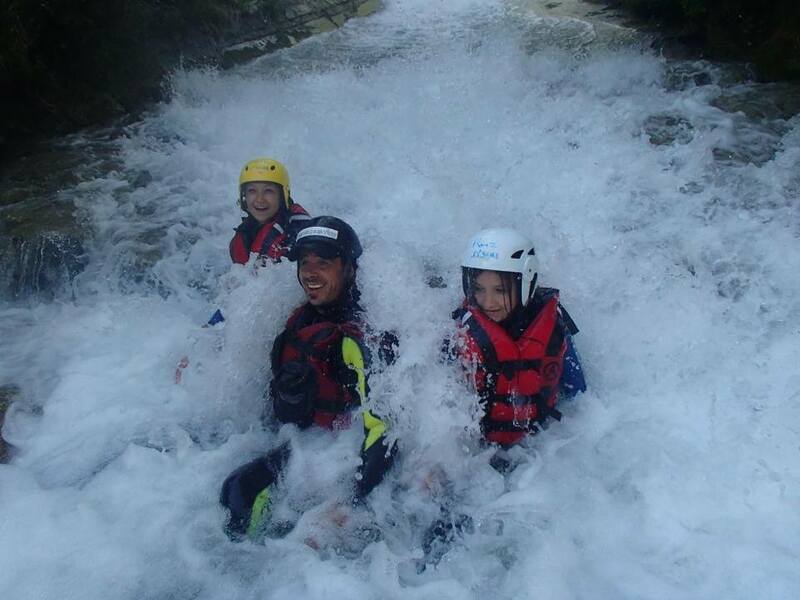 You've already practised swimming in white water ... and you love it, especially when it's moving! So do we! So, set off from Gotthard for two and a quarter hours of joy. This course is the thrill-filled version of hydrospeed, and you'll come out of it all squeaky clean, haha! 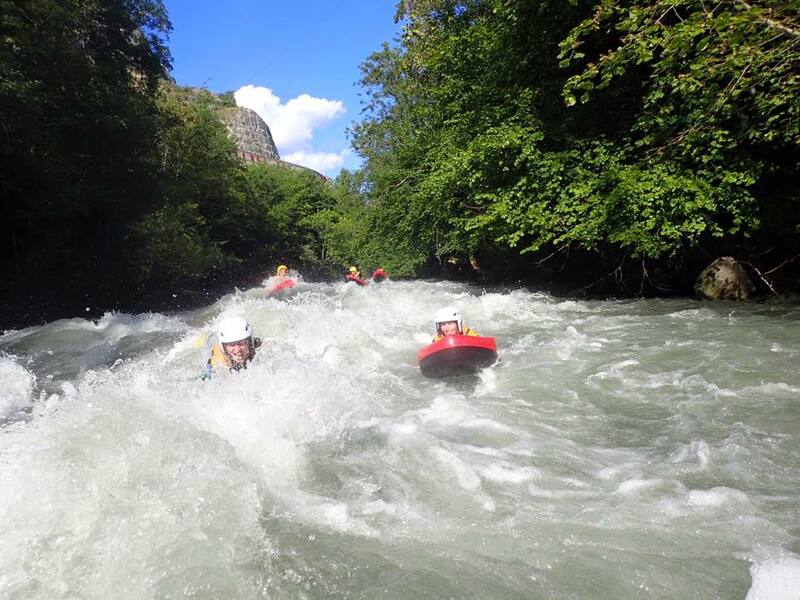 For crews of 6-7 per raft, Rêve d'Eau offers sporting descents for all levels accompanied by a guide on one of the most beautiful rivers in the Alps. The Kayak-Raft or Airboat is unsinkable. 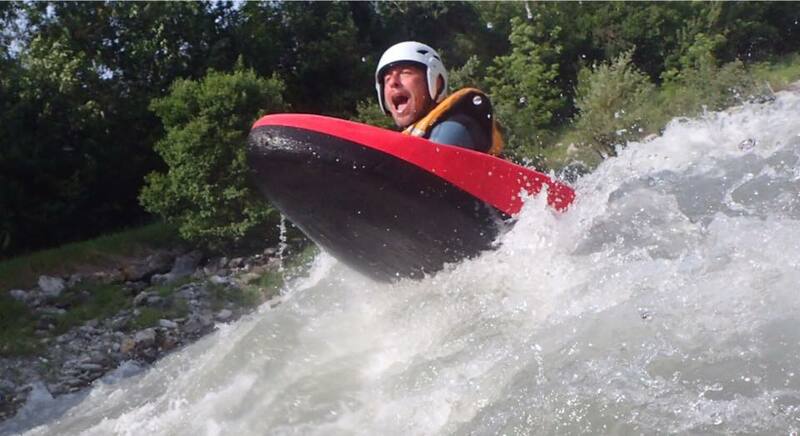 Imagine a giant inflatable hot dog that can carry you across the tumultuous rapids of our beautiful Isère!